Like Twitter and Facebook, Instagram offers the possibility for administrators of an Instagram page to certify certain pages. Oshara Inc, a web agency specialized in web marketing and digital design, enlightens you on how to get the small blue Instagram badge, a sign of performance. The Instagram verification badge symbolizes the authenticity of a high profile account. Very often it is entrusted to celebrities, to an important public person or to an internationally recognized brand, such as Adidas for example. This verification badge comes in the form of a small icon, placed at the end of a page name. An Instagram team dedicated to this activity is in charge of auditing the accounts. The operation is far from simple. First of all, the Instagram team that looks after the accounts of personalities and brands with high popularity is unreachable. As a result, you are unable to solicit a request directly from them. Not everyone is affected by the purchase of an Instagram badge. Only the great personalities benefit. A second indication should be taken into account. If your page benefits from a certification indicated by a grey or blue badge. Unfortunately, your Instagram page will not automatically be certified. What is the point of obtaining the verified Instagram badge? Obtaining the Instagram certification badge is metaphorically the icing on the cake for digital communication. In this situation, many benefits directly impact your brand image. Visibility: The blue badge provides a real demarcation against the competition, because certified accounts appear more regularly in news feeds. Regarding identity theft. If you are a victim and thought obtaining this device was a solution. It is more useful, is to refer it as soon as possible on the social network page, designed to this initiative. Or contact the IAC who can help you. 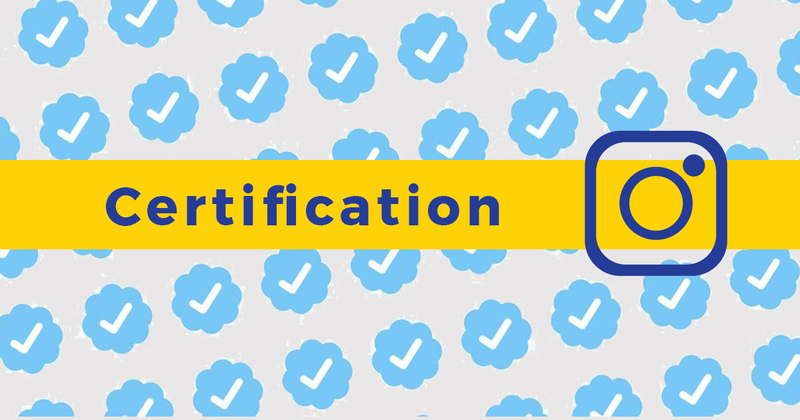 However, if you want to know more about how to get other social networking accounts certified, you can read our indications on the articles about Facebook pages and Twitter accounts.